Vietnam signed off on a full Free Trade Agreement with the EAEU in 2016, and has seen significant trade benefits as a result. In 2017, bilateral trade between Vietnam and the EAEU grew by 31 percent, compared to 2016, to reach US$3.9 billion. In addition, Vietnam also had a trade surplus of almost US$1 billion with the EAEU. In the first four months of this year, EAEU-VN trade reached US$1.53 billion, growing by 35 percent. 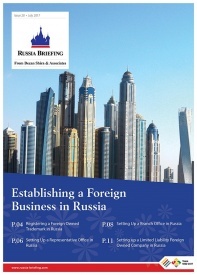 Russia continues to remain the major trading partner in the bloc, accounting for almost 90 percent of the trade with Vietnam. Key imports from the Union as a whole, including Russia, are petrol, oil, steel, fertilizers, and machinery. Major Vietnamese exports include phone components, electronic devices, computers, apparel, and footwear. Food exports include fruits, vegetables, coffee, cashew nut, and seafood. The free trade agreement covers more than 90 percent of all traded goods, and has greatly benefited the EAEU’s exports of agricultural and industrial products, and Vietnamese exports of garments, textile products, farm products, and electrical devices. By the end of 2018, a further 5,535 tariff lines are going to be reduced to zero percent. Reductions will focus on items that are input materials for the textiles, footwear, electronics, plastic, fertilizers, and farming sector. Another 3,270 tariff lines will be reduced to zero percent for goods such as milk and dairy products, chemicals, automobiles, and spare parts, steel products, rubber products, and electrical appliances at the year end. However, the FTA also provides some protective measures. According to Article 2.1 in the FTA, the EAEU may apply a trigger safeguard measure for Vietnamese goods in case the import volumes during a calendar year exceeds the trigger level as established in Annex 2 of the agreement. Currently, under this measure, certain products in the textile and garment sector in Vietnam face safeguard duties from the EAEU, which aims to limit the increasing volume of imports to the Union. Since March 14, 2018, duties were imposed on Vietnamese underwear and children’s wear products for nine and six months, respectively. 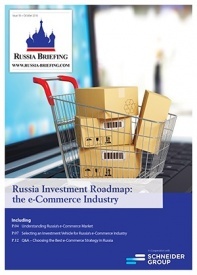 In the last few years, the EAEU has also started to work with other ASEAN member states on trade and investment, and this puts Vietnam in a unique position, as it can act as a supply chain gateway for Russian and other EAEU businesses in the region. Going forward, to achieve their target of US$10-12 billion bilateral trade by 2020 and US$30 billion by 2030, trade between Vietnam and the EAEU can be expected to grow exponentially. Thailand has just signed off on an upgrade to its trade relations with the EAEU while Singapore, Indonesia, and other ASEAN nations are currently involved in free trade negotiations. Russia’s Kamaz recently established a production and service facility for its heavy duty trucks in Java. The success of the EAEU-Vietnamese Free Trade Agreement has shown that Russian importers of Vietnamese goods can prosper from the deal, and that Vietnam and other ASEAN nations are also developing as a market for Russian goods and services. 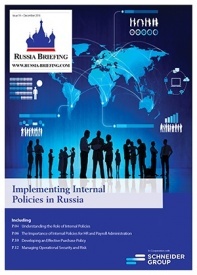 Russia Briefing is produced by Dezan Shira & Associates. 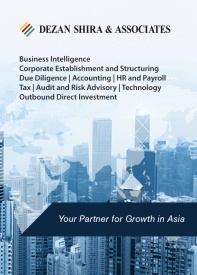 The firm advises international businesses on investing, setting up businesses and administering them throughout the Asian regon, including ASEAN and Vietnam. 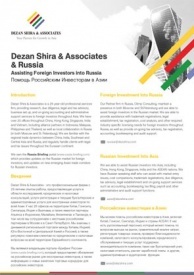 Please contact Maria Kotova at maria.kotova@dezshira.com or visit us at www.dezshira.com.